SHEfinds / Discover New Designers: Stella B. Discover New Designers: Stella B.
I love wearing handmade accessories because theyâ€™re often unique and unusual. My favorite place to find these treasures is Etsy.com. I often run across the Astor Place Button Girl (also known as Stella B.) when I’m in a hurry to be somewhere. But she somehow always gets me to stop and look at her handcrafted buttons, jewelry, and journals. Maybe because they’re so fabulous, and different than anything else I’ve seen. Her Etsy shop highlights the best of her talents. 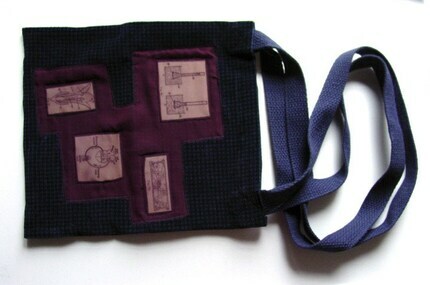 I especially love the Biology Diagrams shoulder bag. It’s fun and chic and you won’t find another exactly like it. $11. While you’re browsing, check out her pendants and earrings. The Rose Dangles are my favorite, but if you’re feeling nostalgic (or looking for a fun gift), check out the Mickey Mouse pair. $6 each.